Precision spline grinding machine with CNC VZ-729F4 used in industry as grinding on parts of the slots as straight and involute profiles. The process of grinding the desired slots by a special abrasive grinding wheels directly edit on the machine wet. Purification system coolant made by using the drum separator DF-360 that ensures high quality cleaning oil-based. 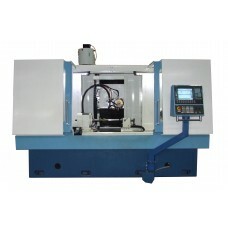 Unique technical capabilities allow semiautomatic operation of the grinding grooves separating disks, spur gears and other similar operations with additional options.The machine has T-shaped frame, made of cast of cast iron, in contrast to composite frames on the existing analogues. Manufacture of basic parts made of cast iron gives the node high performance vibration resistance, and optimal shape of frame and the extra ribs give considerable rigidity. The CNC SINUMERIK 840D CNC device (Germany) complete with digital drives of the coordinate axes ensures high-quality machine control, its smooth and reliable operation. 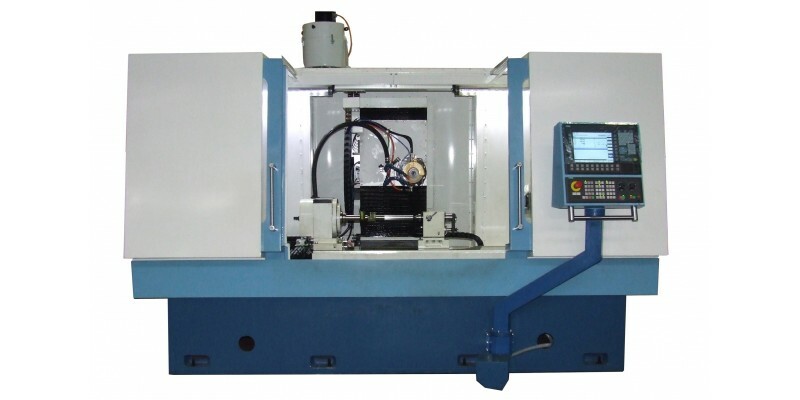 The use of CNC systems, which includes industrial computer, allows you to manage program for processing products and to make the necessary calculations directly on the machine, which reduces the time for changeovers.